Frankincense and myrrh were used as healing agents since biblical times. 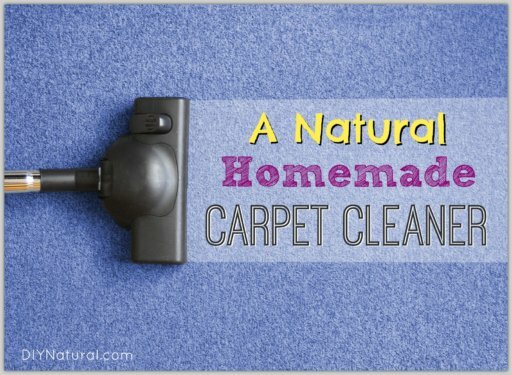 Let’s examine several ways to use them including a tincture recipe and soap recipe. Frankincense is used as an aid in digestion. It can be chewed like gum or steam distilled. 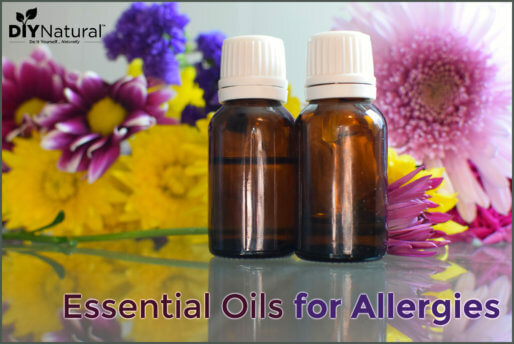 It can also be made into a tincture and taken as needed. See the recipe below to make your own tincture. 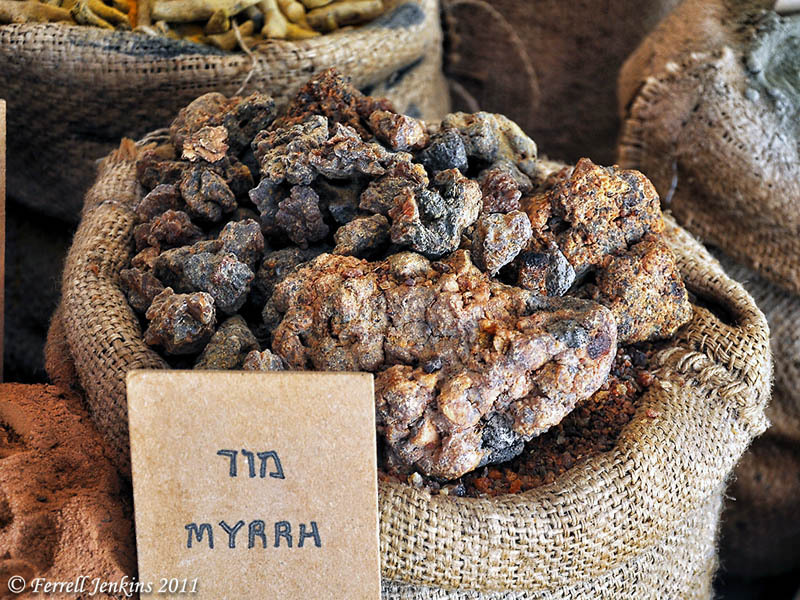 Myrrh has long been used for oral treatments. It decreases inflammation in the mouth and can kill bacteria. 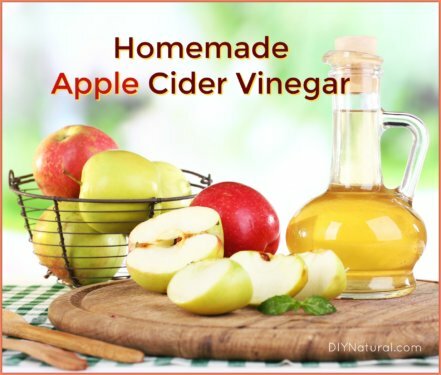 This makes it a great aid in mouth ulcers, tooth problems, and other oral issues. Many sources repeat over and over about how frankincense and myrrh were given to the Christ child as a gift along with gold. It’s been asked why those two items were chosen when other spices and metals were more valuable at the time. It’s been discovered that both were worth their weight more than gold at the time and were not in good supply. More recent time has shown cultivation of frankincense and myrrh trees to be on the increase. While wild plants are diminishing, cultivated plants are increasing. The natural region they grow in is Africa and surrounding areas, but research has shown that they can be grown in greenhouses around the globe. There are several trees (or more shrubs, as they are) on display at botanical gardens around the world. A few years ago there was a very nice specimen of frankincense at the Como Park Conservatory in St Paul, Minnesota. Many others can be found at similar locations. large glass jar (like this one). Place tears or beads in the jar and cover with alcohol. Let sit for a few weeks on a sunny windowsill, shaking daily. Much of the solids will dissolve. Strain out any remaining solids and store in a colored glass bottle (like this) away from light and heat. Label bottles well. Place 5-10 drops in 8 ounces of water and take once a day. This mixture can also be used directly on wounds. Want to include frankincense and myrrh in some of your gifts this year? Here’s a recipe for my favorite Christmas Soap. Place enough soap to fill the mold in a heatproof container and microwave for 30 seconds at a time. (Many soap molds make 4-ounce bars.) Once melted, add 5 drops of each frankincense and myrrh and stir. Check for scent and add more if you like. Add a few flakes of gold and stir. If the flakes float or sink, stir for a bit longer until it suspends. Pour into mold and allow it to cool. Once completely cooled, pop out of the mold – it’s ready to use right away! If you’re giving as a gift or saving it for a while, wrap bars in clear plastic wrap or put in a sealed zip-top bag. 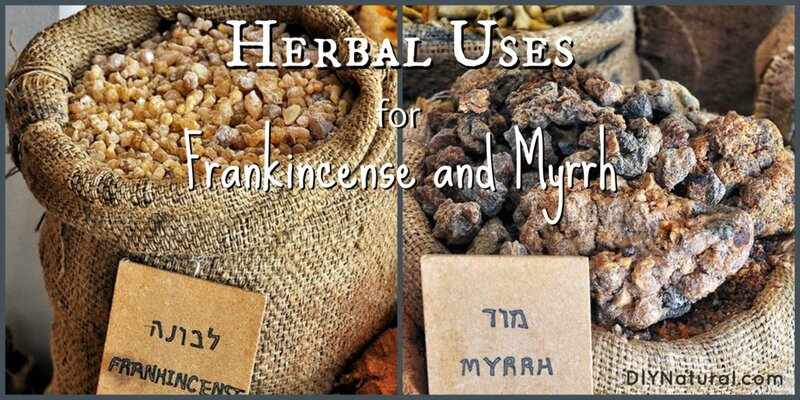 Do you have any other uses for frankincense or myrrh? Just a small note. Frankincense and myrrh were given to the Messiah for a two fold reason. 1) They were costly as indicated. And useful. 2) They were symbolic. They were a gift give to a child destine to die for man kind. They were to be used as the anointing and embalming of the dead as stated in this article. Gold for a King; Frankincense for God; Mryyh for a man who will die. Gold was a gift to a king. 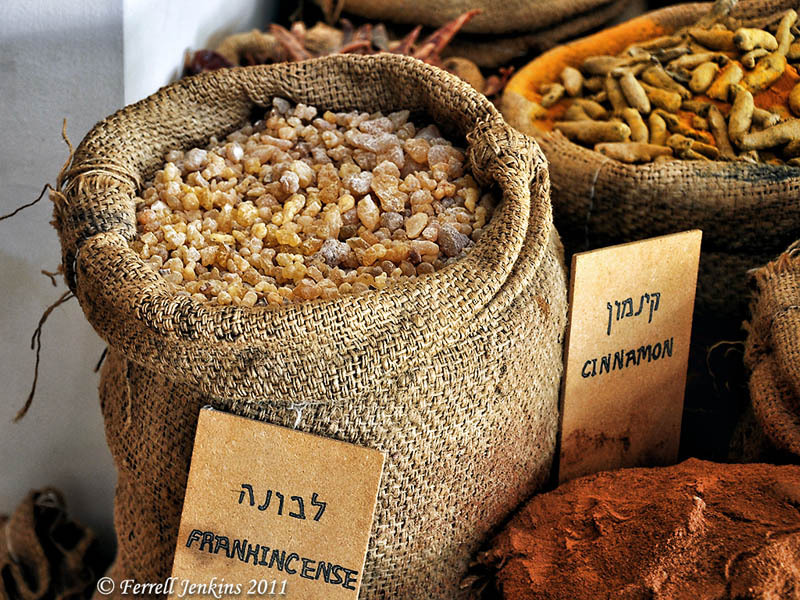 Frankincense was what they used as a burnt offering in the temple. An offering to God. Myrrh was for the wrapping/embalming process. Those are the symbolic reasons as to why three men would offer such strange gifts. It was no coincidence these gifts were given to Him. They were all appropriate for this child who would save mankind. Merry Christmas and thanks for this timely article. Can you extract the essence using anything besides alcohol? We can’t drink alcohol. We do burn it sometimes. Your link to frankincense used for arthritis, is gone. Thanks for any update. Thank you, I just bought some Frankincense essential oil!